45 minutes drive away along one of the world’s most spectacular scenic roads. 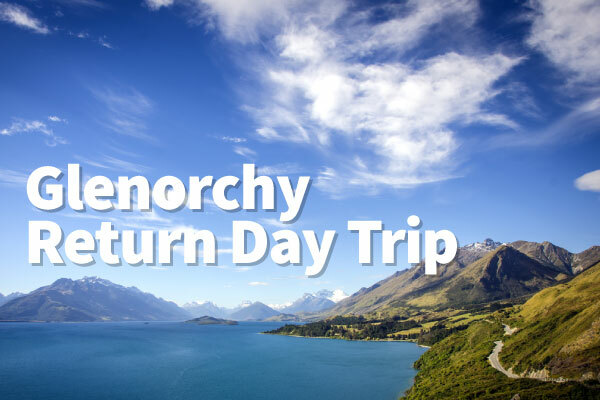 The bus will pick you up at 8am at 37 Shotover St, Queenstown and drop you in the centre of the small township of Glenorchy by 9am. Depart for Queenstown at 3pm. Why not enjoy a short walk or bike ride around the rural township, which is located on the edge of Lake Wakatipu amidst snow-capped mountains. Go horse riding, jet boating or take a scenic tour to explore the many locations used in the The Lord of the Rings, The Hobbit, Wolverine and many more.